This week, Paw Anderson, a true technologist with 20+ years of engineering leadership experience, joined Metromile as CTO. He was most notably a senior leader of engineering in Uber’s Advanced Technology group, where he grew his team from 27 to 700. Beyond ride sharing and autonomous vehicles, he’s been on the front lines of technical challenges in several sectors, including GIS, Fintech and E-commerce, ranging from small startups to large, established companies. Originally from Denmark, he now lives in the Bay Area with his family. According to Paw, there’s a thread that runs through his career. 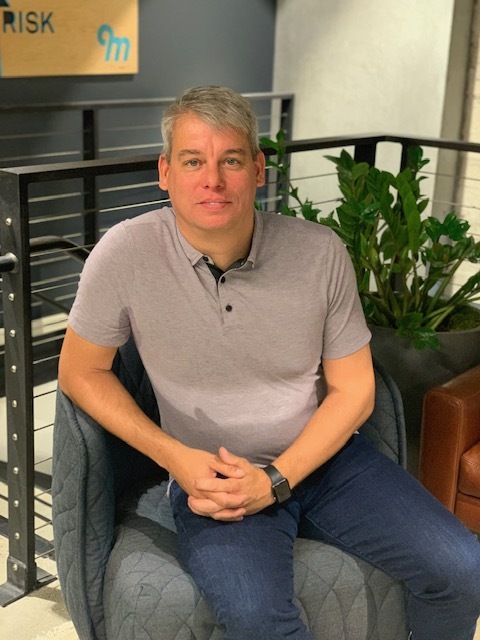 “What’s been constant is my passion for enabling teams to effectively build software, while also empowering them to enjoy their biggest personal growth,” he said. As CTO, Paw is responsible for leading, coaching, motivating, and growing a world-class eng team in our San Francisco and Boston offices. He’s also a member of executive leadership, working closely with CEO Dan Preston, Chief Product Officer Shaun Clowes, and many others. In talking with Paw, he shared a bit about what attracted him to Metromile. Here’s what he had to say. I’m an engineer at heart. I like to build things that are challenging to build, and have a lot of data-driven problems to solve. I want to build things that matter to people in real life. Something that makes people want to part with their money, that makes their life better. That matters to me a lot. I want to work with really smart people who have fun together. Interested in working with Paw and the rest of our eng team? We’re hiring tech talent in our Boston and San Francisco offices. We may not quite be onto flying cars quite yet, but 2018 is certainly poised to be the year of self-driving cars. If you are in the Bay Area, you’ve certainly seen them tooling around neighborhoods in San Francisco – and if you’re not in the Bay Area, just know that they will most likely be coming to your area within the next few years. We here at Metromile are interested in this topic because we are all about smart tech making your life easier. We also think our usage-based model is best suited to meet the insurance needs of autonomous vehicles, which you can learn more about here. If the extent of your knowledge on the topic of self-driving cars consists of setting cruise control on the highway, then keep reading for a major knowledge download. There are two key players in the self-driving car space: Tesla and Alphabet/Waymo (the parent company of Google). Tesla is pushing for a vision-based system, with cameras positioned strategically around the vehicle taking in the 360º view of surroundings as the car moves. The system then processes all the camera inputs in real time and attempts to synthesize all inputs in the surroundings. Tesla also utilizes fleet data, wherein all Tesla cars on the road are mapping their surroundings and are contributing to one central database so that all other Teslas can benefit from this data simultaneously. This model is entirely based on machine learning and artificial intelligence and combines multiple data sources to operate a vehicle. Alphabet/Waymo has a LIDAR system (Light Detection and Ranging) on their vehicles, which is a spinning apparatus on the top of the car that sends out lasers and measures how long it takes for them to bounce back – similar to how bats use echolocation! This system is able to definitively calculate the distance of objects, and is much more accurate and reliable than a vision-based system. However, LIDAR does not work very well in fog, rain, or dust, due to its use of light wavelengths, and doesn’t distinguish color and contrast. There is speculation in the community that Alphabet may be the first company in the world to crack Level 5 autonomy (more on the levels of autonomy below). Additionally, after a bad (and highly publicized) breakup with Uber, Alphabet has struck up a partnership with Lyft – which suggests a tighter pairing between Alphabet’s self-driving car technology and Lyft’s transportation network. Other smaller (but still extensive) companies in the space are Uber and GM/Cruse. Fundamentally, all of these companies are focused on creating a system to identify other cars and obstacles on the road and developing the navigation necessary to make self-driving cars a reality. Fully-Autonomous vs. Semi-Autonomous: What’s the Difference? Let’s talk levels, shall we? Levels are how the self-driving technology community defines the level of autonomy in a vehicle. Levels 0 & 1 are the regular cars we drive today with no degree of autonomy; Level 5 is a fully autonomous vehicle that needs no human intervention. Level 5 is the Holy Grail status that all the players in the space are striving for and no company has yet to create. Speculation in the community states that we are still about 5 years out from developing a Level 5 vehicle, although many of the aforementioned companies are on their way to developing Level 4 technology. Level 4 means that the car can pretty much drive itself but there still needs to be a human driver paying attention, for safety. The differences in technology between Level 4 and Level 5 are not vast, and simply have more to do with the level of confidence in the tech than anything else. Currently, Tesla has developed an autopilot system at Level 3 autonomy that is available in Tesla models on the roads today. This technology scans where the lane markings are and steers to make sure to stay in the lane. It also scans for any obstacles in the road and steers or brakes to avoid them. Given these two factors, the car will speed up if there are no obstacles and will brake or swerve if there are. It performs these actions best on highways and acts, essentially, as a fancy cruise control. Some states do not allow the testing of autonomous vehicles on the road – no surprises there! The state of California requires all companies testing self-driving technology to publish a Disengagement Report. This report details how many miles the self-driving system has driven in the state of CA and reports the number of times that the human driver has had to take over for the self-driving system. Given this (and the fact that many companies are wary of publishing this information), many are moving beyond the CA state lines and testing their technology elsewhere. Uber has a large deployment of self-driving tests being conducted in Phoenix, Arizona and Tesla has been rumored to be testing their tech entirely on a simulator. What we are seeing here is that self-driving technology is very new and still evolving. Many of the kinks have yet to be worked out, but we are excited to see what comes next. As always, be sure to get a quick free quote from Metromile and see how much you could be saving on your car insurance! See ya on the roads. What are your thoughts on the future of self-driving cars? Sound off in the comments below! 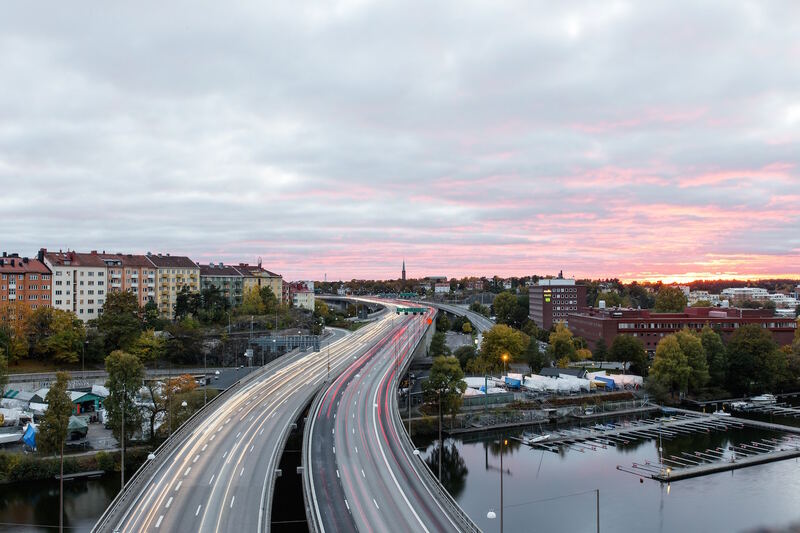 Last week INRIX, Inc., the world leader in transportation analytics and connected car services, published its annual Global Traffic Scorecard that details their research into traffic and congestion and its associated cost for drivers in developed countries. Unsurprisingly, the United States topped the list with ten major cities making the list; Los Angeles, New York City, San Francisco, Atlanta, Miami, Washington D.C., Boston, Chicago, Seattle, and Dallas. INRIX contends that this congestion cost U.S. drivers $305 Billion last year, which equates to about $1,400 per driver. Being the data nerds that we are, who LOVE to save money for low-mileage drivers, we found this study to be tremendously fascinating. INRIX analyzed 1,360 cities across 38 countries and found Los Angeles to be the most congested city in the world for the sixth year in a row. No surprise there — traffic congestion got to be so bad in L.A. in the 90s that the State of California began requiring all vehicles be equipped with an Onboard Diagnostic Port to detect emission failures. The OBD port is actually what makes pay-per-mile insurance possible, and since the introduction of the Clean Air Act and the OBD requirement, toxic emissions have steadily decreased across the country and in Los Angeles especially. We’ve also found that people who switch to Metromile tend to drive less than they did with traditional insurance, which got us thinking: Are Metromile customers spending less time in traffic on average than other drivers? According to INRIX, Los Angeles drivers spent an average of 102 peak hours in traffic between the hours of 6am-9am and 3pm-6pm last year alone – more than in any other city in the world. On average Metromilers in Los Angeles are spending 2 less minutes per day navigating gridlock, that’s a total of 6.5 hours a year. You could drive to a lot of places from L.A. in 6.5 hours – Vegas anyone? The study also claims that San Francisco motorists fared slightly better than their neighbors to the south during peak traffic hours, wasting an average of 79 hours in traffic in 2017. But according to Metromile data, Bay Area drivers spend an average of 4 and a quarter days (or 102.16 hours) a year getting to and from the places they needed to be during high traffic times. Two other Metromile covered cities ranked on the INRIX list of Most Congested Urban Areas in the U.S.; Chicago and Seattle. INRIX ranked Chicago as the 8th most congested city in America and Seattle the 9th, with drivers in each city spending 57 and 55 hours, respectively, in traffic last year. Though Metromilers may be driving less miles in these cities on average, they are definitely spending more time stuck in bumper to bumper traffic. So far this year Chicagoans are spending 21 minutes a day, which will equate to 84 hours this year, commuting (or stuck!) during peak traffic hours. Seattle customers are spending just over 3 days per year in traffic on average (76 hours). 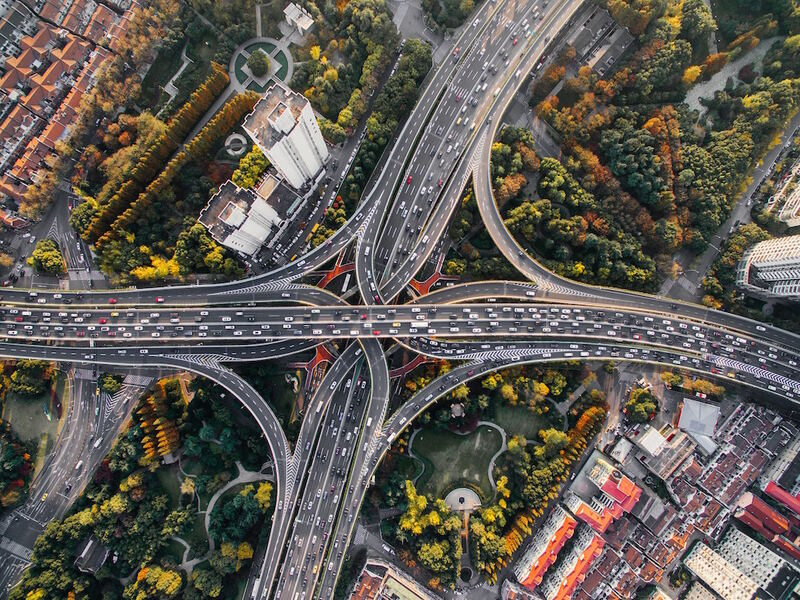 Though we have seen improvements in the past twenty years in infrastructure and public transportation, traffic and congestion are costing consumers billions of dollars each year. Direct costs to consumers include fuel, car maintenance and most importantly, wasted time. Unless we look to innovative solutions to our transportation problems drivers will face bigger traffic jams year after year and gradually lose more time and more money. Although not all Metromilers are spending less time in traffic than the average American driver, they do have the tools to help them reduce their overall mileage and hopefully avoid those jams altogether. Metromile customers all gain free access to our smart driving app that makes owning a car as seamless, affordable and simple as possible. The app tracks your trips so you can better understand how little changes in your commute can have a big impact on the amount of time or gas it takes to get where you are going. You can even look at details like speed, how long your trip takes and how much gas that trip cost you. If you are ready to take control of your driving (and your insurance bill) get a free quote now. Smart tech has already invaded our homes, making them more convenient and efficient with thermostats that automatically adjust their temperature settings, lighting that turns on and off on cue, doors and windows that lock on a schedule, and much, much more. Now, these intelligent gadgets are increasingly expanding beyond the home, – including to your car. If you spend a lot of time behind the wheel, here’s how you can take advantage of this technology to save some serious time and money. Most modern vehicles are packed full of technology, including a whole host of software platforms that control everything from infotainment systems to safety features to the operation of the engine itself. 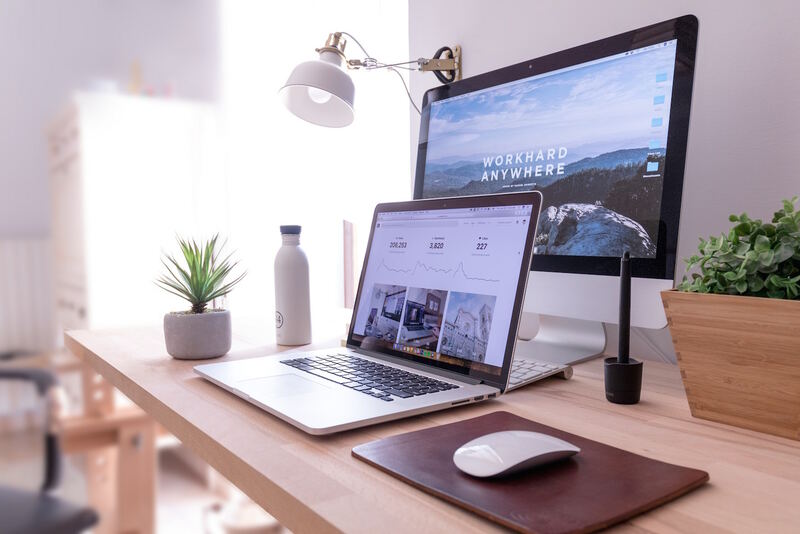 Keeping all these systems updated and running efficiently is no easy task, but it’s gotten much simpler thanks to built-in internet connectivity. Now, carmakers can push software updates to your vehicle in real-time, cutting down on the need for costly and inconvenient recalls and ensuring that safety issues are addressed in a timely manner. Auto manufacturers can even use the web to collect data on how their cars are being driven, allowing them to fine-tune your engine control unit to give you better performance and fuel economy. We rarely think about it, but driving is among the most dangerous activities we do on a daily basis. Thankfully, smart technology is beginning to change that. Many new cars feature sophisticated collision avoidance systems, which employ an array of sensors, lasers, radars and other technologies to detect an impending collision and take appropriate actions to mitigate or prevent it. Some vehicles also feature other advanced safety features, such as lane-keep systems, pedestrian detection, night-vision systems and more. There are also plugin devices such as Metromile’s Pulse, a device that plugs into the car’s on-board diagnostic (ODB) system, that can help decode your check engine light without visiting the mechanic or even recover stolen cars with the built-in GPS functionality. In addition to the safety and peace of mind these systems provide, they may help save you cash as well. Fighting through traffic is a stressful and time-consuming experience, but navigation apps like Waze and Inrix now offer real-time traffic information to help you plot a smoother course. Through the power of crowdsourced information, you can be notified of traffic accidents, road construction and other delays, helping you spend less time – and fuel – sitting idly behind the wheel. Apps can save you money in other ways, too. Metromile’s smart driving app can help drivers avoid those pesky street parking tickets (in select cities), help you locate your car and provide driving data and trends to help you drive smarter and save money on gas. GasBuddy and similar apps make it easy to find the cheapest gas prices in your area, ensuring that you always get the best deal when it’s time to fill up. Another handy smart gadget is the ZUS Smart Tire Safety Monitor, which uses simple plug-and-play hardware to turn your smartphone into an advanced tire pressure monitor. The app syncs with the hardware to display precise tire pressure data, making it a breeze to ensure your tires are always properly inflated – potentially saving as much as 11 cents per gallon on gas. If you have your home outfitted with smart devices, you already know how powerful home automation and connectivity can be. Why not take it to the next level by adding your car to the mix as well? Though the technology remains in its infancy, the possibilities are virtually endless. Open or close your smart garage door from your car when you leave or arrive at home. Suddenly remember that you left the lights on or the front door unlocked on the way to work? Don’t waste time and money turning around – just control your smart lights or door locks right from your car’s infotainment display. Weather a little warmer than you expected? Use your car to lower the temperature settings on your smart thermostat and save some energy! Voice control is changing the way we interact with our technology, and now it’s coming to vehicles as well. Apple CarPlay and Android Auto bring the full capability of AI-powered digital assistants right to your car, so you can use Siri and Google Assistant to get things done without taking your hands off the wheel or your eyes off the road. You can add appointments to your schedule, set reminders for important events, place phone calls and much more, allowing you to make the most of your time behind the wheel. After all, time is money! If you’d like to make the most of the time you spend in the driver’s seat, you owe it to yourself to explore the possibilities afforded by smart technology. With the tips above, you can save money on fuel and insurance costs, stay connected with your home network and make your car smarter, safer and more capable than ever before. If you are looking for more ways to save on your vehicle Learn more about Metromile’s per-mile insurance offering and get a free quote now. Emma Bailey is a freelance writer and blogger from the Midwest. After going to college in Florida, she relocated to Chicago where she now lives with a roommate and two rabbits. She covers current topics in home technology and issues pertaining to the environment. We’ve been talking a lot lately about usage-based insurance models like the Metromile pay-per-mile model. The great thing about usage-based insurance is that you are only charged based on the miles you drive. So if you have a car, but don’t drive very far you could save a ton of money with pay-per-mile car insurance from Metromile. But have you ever wondered how we measure your miles? Usage-based insurance, and therefore Metromile’s pay-per-mile offering, wouldn’t be possible without the OBD-II port. If your car was built after 1996 and has a gasoline engine, chances are high that it has an OBD-II port. The OBD, or on-board diagnostics port began as a way to measure a vehicle’s emissions. California, in particular, wanted a way to combat the growing issue of smog, so in 1966 they began to require emissions testing in all vehicles. This requirement was gradually adopted nationwide by 1968. In 1988, the California Air Resources Board (CARB) passed a requirement that all vehicles sold in the state include on-board diagnostics. This first port would become known as the OBD-I. If your car was made before 1996, you likely have the OBD-I. Today, all new vehicles nationwide are required to include the OBD-II port. This next-generation of diagnostics had evolved from emissions testing to monitoring other performance-related aspects of the car, like the engine and chassis. Your car has a Powertrain Control Module (PCM) that constantly monitors the engine. If it detects a problem, like excessive oil consumption, your ‘Check Engine’ or service light will come on and remain on until the issue is resolved. A repair technician can connect a scanner to the OBDII port, download your car’s data, confirm a diagnosis and start on the necessary repairs or resolution. So, if something is wrong with your vehicle; ranging from engine malfunctions to tire pressure, the OBD-II port is the best way to diagnose the problem. In fact, the OBD system is even proving to be an important factor in reducing the damaging effects of car emissions on our environment. Since the introduction of the Clean Air Act and the OBD requirement, toxic emissions have steadily decreased. Companies are also developing devices to use in tandem with the OBD-II port in all sorts of new and inventive ways. For example, our per-mile insurance customers plug the Metromile Pulse device into the OBD-II port to measure exact mileage. This enables us to provide low-mileage drivers with a more fair insurance pricing model, since their monthly bill is based on the miles they drive, not just on a rough estimate (which other insurance companies sometimes offer a small discount for). We also use the Pulse to help drivers decode the mysterious check engine light without visiting the mechanic, see personal driving stats and avoid street sweeping tickets. We’ve even used GPS functionality on the Pulse to help recover stolen cars! Fleet management services are using OBD devices as well, allowing them to communicate with their vehicles in real-time and monitoring things like location, speed and driver behavior. With a recent Deloitte survey finding that 72% of smartphone users see value in connected car technology, we expect to see additional use cases of OBD devices in the near future. Overall, the OBD-II port helps provide transparency into key operational features of your vehicle so that you can make every effort to keep your vehicle in the best possible shape. Even with the amount of data provided, you should always make sure to stay up-to-date with your car’s maintenance schedule. Don’t delay changing your oil or overlook a Check Engine light that stays on. The OBD-II port is a great example of the evolution vehicles have gone through over the decades. What began as a way to test emissions has evolved into the portal for mechanics and drivers to obtain data about cars and fix potential problems. For Metromile, the OBD-II is how we have unleashed the awesome amount of data to make driving less of a headache and enable drivers to make savvier decisions. Want to see the power of an OBD device in action? Learn more about Metromile’s per-mile insurance offering and get a free quote now.